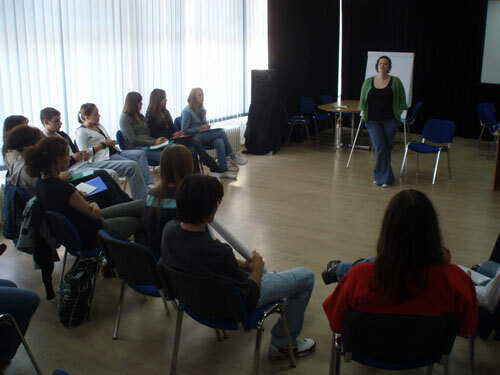 Ambassador Mary Burce Warlick and the 2010/2011 A- SMYLE generation during a recent re-entry seminar in Belgrade. A-SMYLE students pose for a group photo. 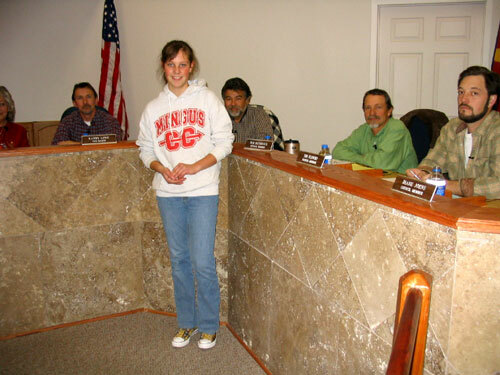 A-SMYLE students arrive in U.S.
An A-SMYLE student attends her local city council meeting and gives a presentation. 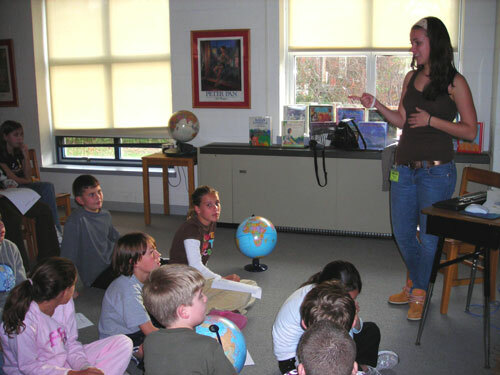 An A-SMYLE student gives a country presentation to American elementary school students. 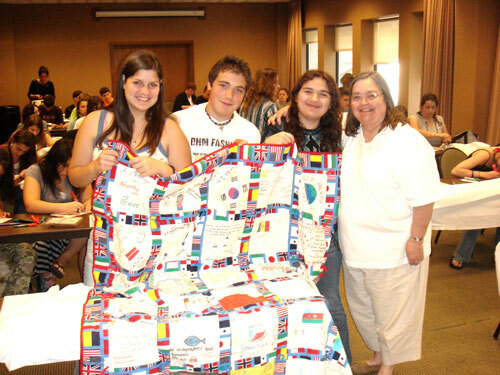 A-SMYLE students make and donate quilts for an orphanage. A-SMYLE students attend a re-entry orientation. 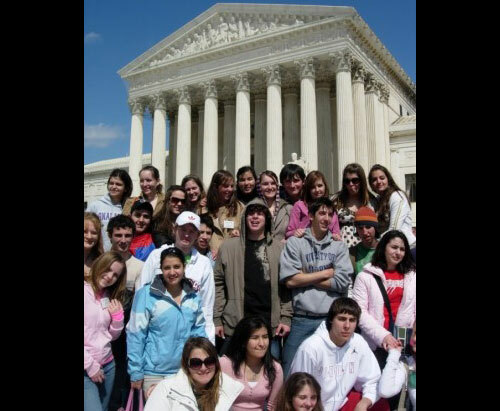 A-SMYLE students visit the U.S. Supreme Court. Alumni attend a leadership seminar. 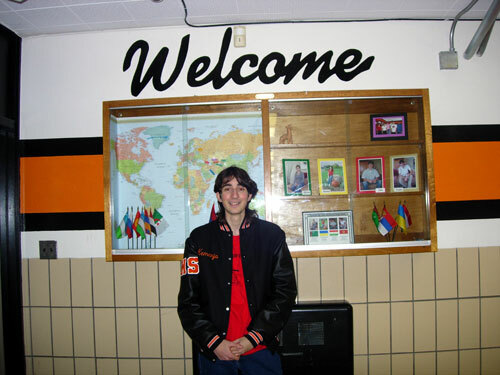 An A-SMYLE student in his high school in the United States. 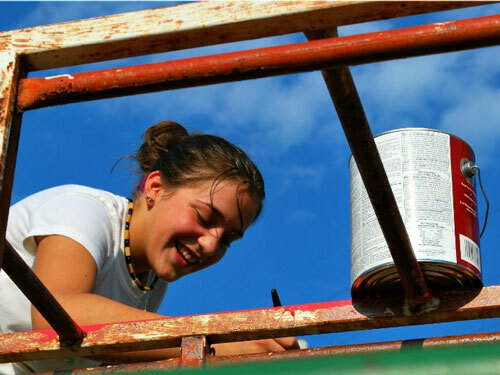 An A-SMYLE student helps improve a local playground as a community service project.